The pre-game event begins at 6:30pm with a silent auction. Hosts of this event are from UNI, Iowa State, University of Iowa, and Drake University. 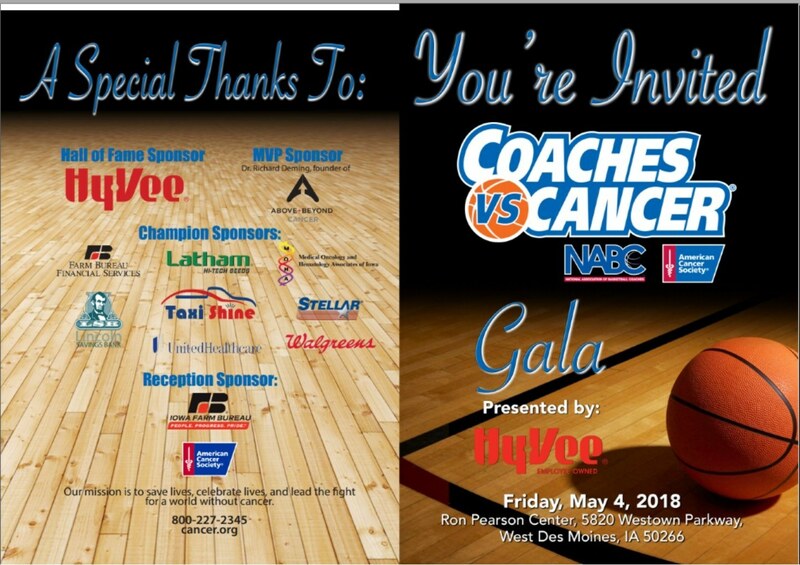 Join us for a great night and a memorable event to help support those affected with cancer and to bring awareness. 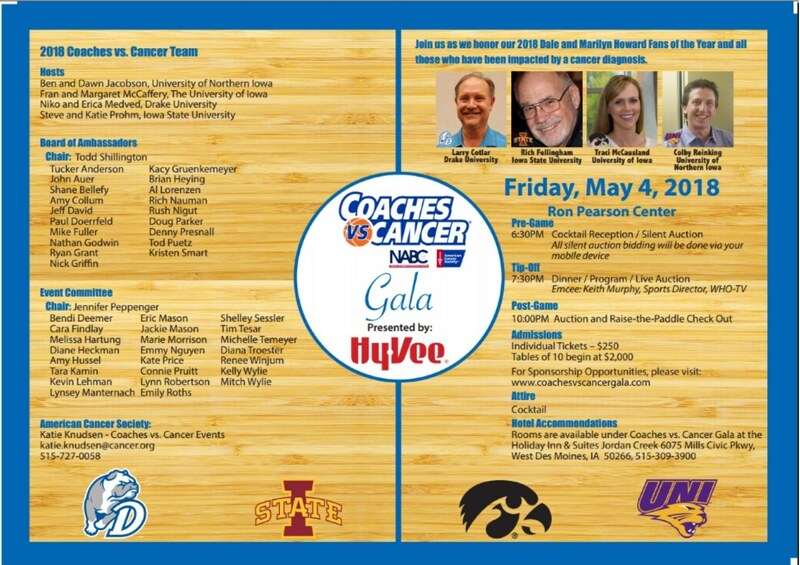 For Sponsorship Opportunities, please visit: www.coachesvscancergala.com.